NEW YORK, NY – So here you are at the beautiful Grand Central Terminal (though you might call it Grand Central Station). You could be a tourist checking out the Beaux-Arts architecture, snapping pics and wondering to yourself if New York could afford to build such a cavernous, stunning building today (my guess is no). Or, maybe you’re heading to Connecticut on Metro North. Perhaps you’re taking a look at that new Apple Store on the East Balcony. Whatever you happen to be doing at Grand Central, at some point you decide you’d like a bite to eat. With so many choices (22 restaurants in total per Grand Central’s website, 4 classified as “fine dining” and 18 labelled “casual dining”), what do you do? Ask the Zen Team…..it’s a tough job, but someone’s got to try these joints and report back. First, a caveat: we’re talking about a rail station, people, filled with commuters, office workers and tourists. This is not a foodie destination (with the possible exception of Grand Central Market, which offers a lovely array of meats, veggies, cheeses, breads and spices for us who have kitchens within reach). If fabulous restaurants are what you want, a train station is perhaps not where you need to be. That said, you could do worse than finding yourself hungry at Grand Central. The restaurants at Grand Central are concentrated in the lower level Dining Concourse, though a few can be found at street level and on the West Balcony of the Main Concourse. Grand Central offers both sit-down and takeaway eateries, the latter being prominent in the food court of the Dining Concourse, which features a sizeable shared dining area. Today, we’ll focus on the full service (i.e. sit-down and have food brought to you) establishments. Because we’re just high maintenance that way. The Campbell Apartment: This one is not a restaurant at all, though it is listed as one on Grand Central’s website. It’s still worth a mention as the promise of its tagline (“Cocktails from Another Era”) is truly a reality. Stepping into this cocktail lounge – once the office of a financier – is like walking into a bygone age with its nattily attired bartenders and hostesses, art deco reminiscent décor and jazz age music playing in the background. This place actually reminds me of a smaller version of that hotel bar in The Shining. And I mean that in a good way. Cipriani Dolci: The Grand Central location of the global Cipriani empire. 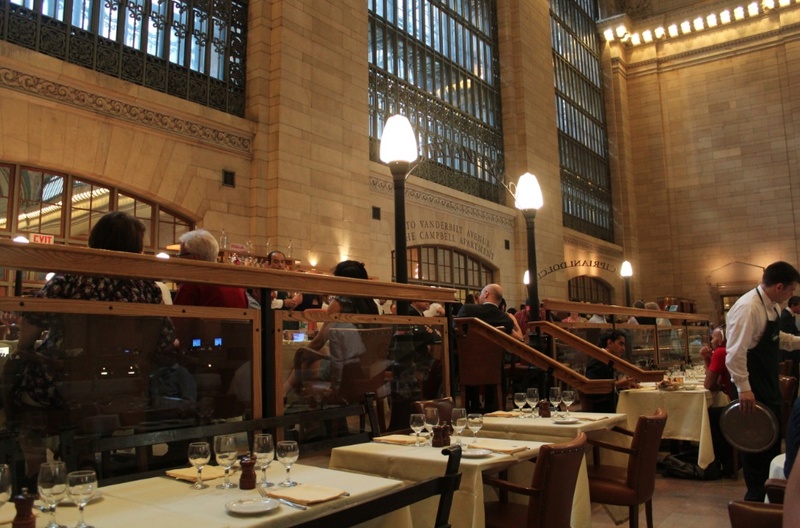 If you’re looking to soak up the atmosphere of Grand Central over a high-falutin’ meal, this is your place. Only Michael Jordan’s comes close to matching its primo views of the station architecture, but Cipriani has much better food. Three tips here: (1) if you’re planning to visit the bar, get there early as it fills up quickly, (2) while the main courses are reasonable, the appetizers are overpriced so maybe grab a starter elsewhere and (3) try to get a balcony table (vs. one on the upper tier) – this area puts you closer to the energy of the place, with the hum of the scurrying commuters below as your background music. 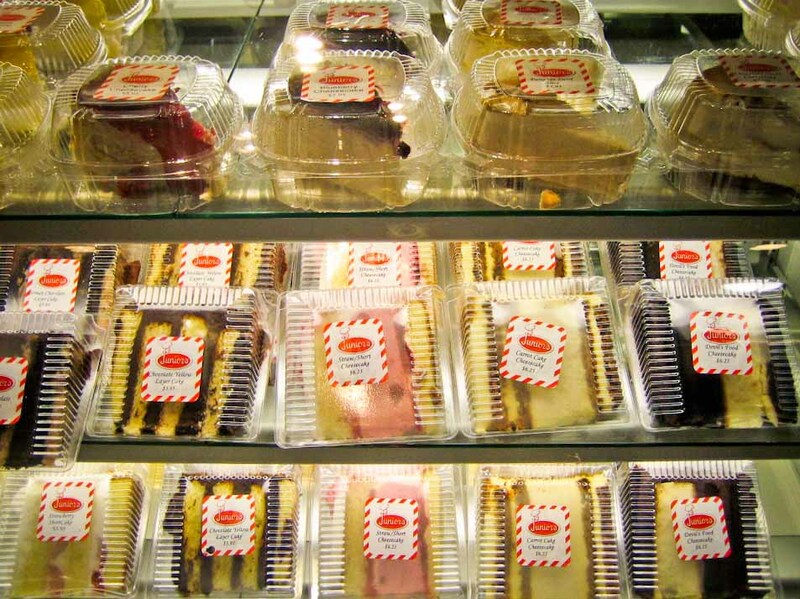 Junior’s Restaurant: The Grand Central outpost of the Brooklyn institution, famous for self-dubbed “World’s Most Fabulous Cheesecake.” Other than the cheesecake, you can get reasonably tasty diner fare at family-friendly Junior’s. 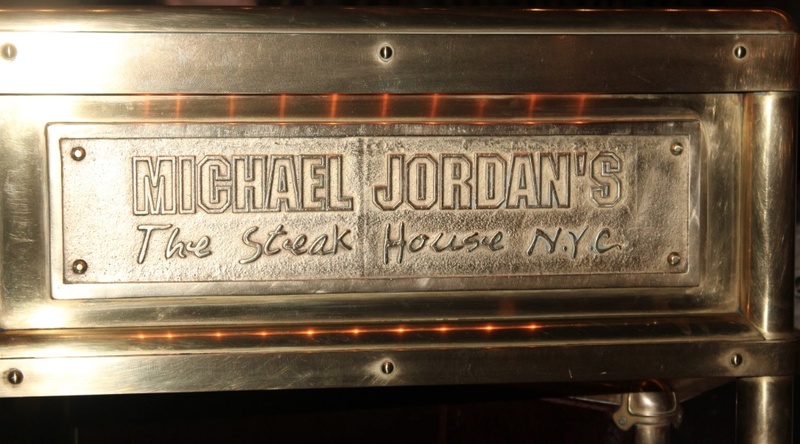 Michael Jordan’s The Steakhouse N.Y.C. : A very ok fancypants steak restaurant (by the way: “very ok” is not a compliment) offering food at what seem to be average Midtown prices. Unless you are determined to have a steak at Grand Central for some reason, give this a miss. 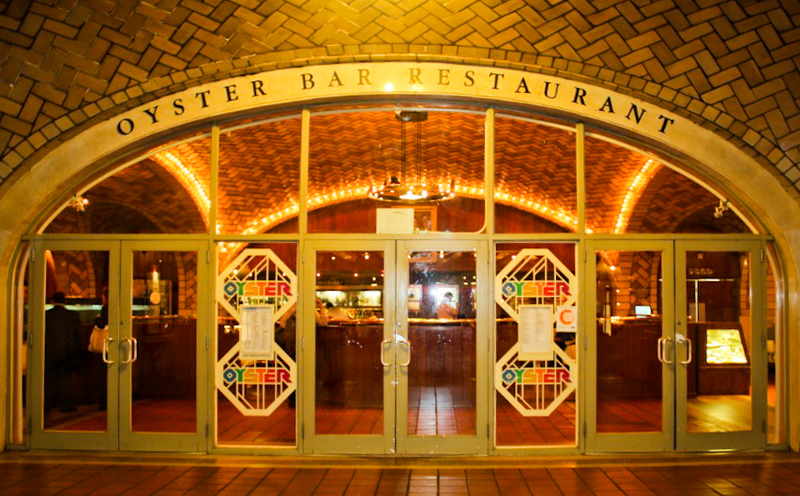 Oyster Bar & Restaurant: In my opinion, one of the better choices of the bunch. This old-school (literally – it’s been around since 1913) seafood restaurant earns its name by offering 25-30 varieties of fresh oysters daily plus a broad array of seafood, wines and beers. It’s not the cheapest or speediest meal you’ll ever have, but Oyster Bar & Restaurant is brimming with character and is a solid choice for lunch, dinner or a few drinks in the evening – especially if you’re a visitor or a local entertaining out-of-towners. Two Boots: Grand Central location of the New York pizza chain, and your best option for family dining. 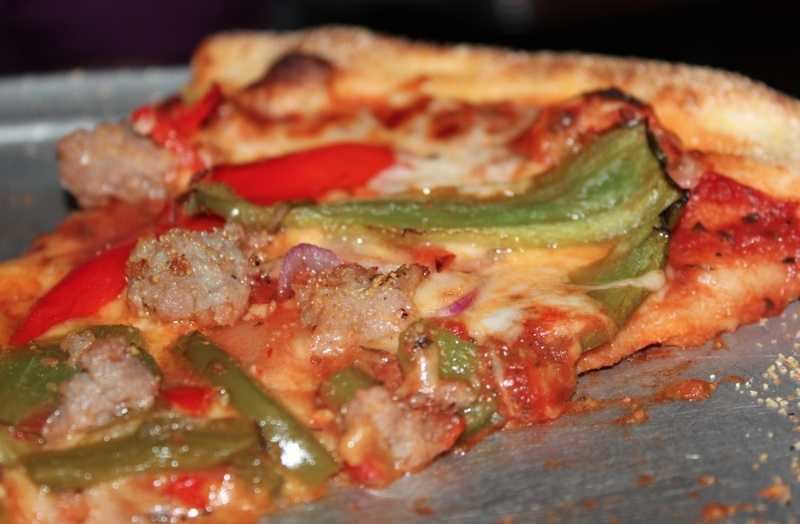 The pizzas are very tasty and reasonably (for Midtown NY) priced. Amazingly, the dining room isn’t extremely crowded at lunchtime – there is a by-the-slice takeaway version of Two Boots just outside the sit-down restaurants, and that is where most folks seem to gravitate. Zocalo Bar & Restaurant: An ok Mexican restaurant with (for Midtown Manhattan) reasonable prices. You can get passable food and below-average margaritas here. 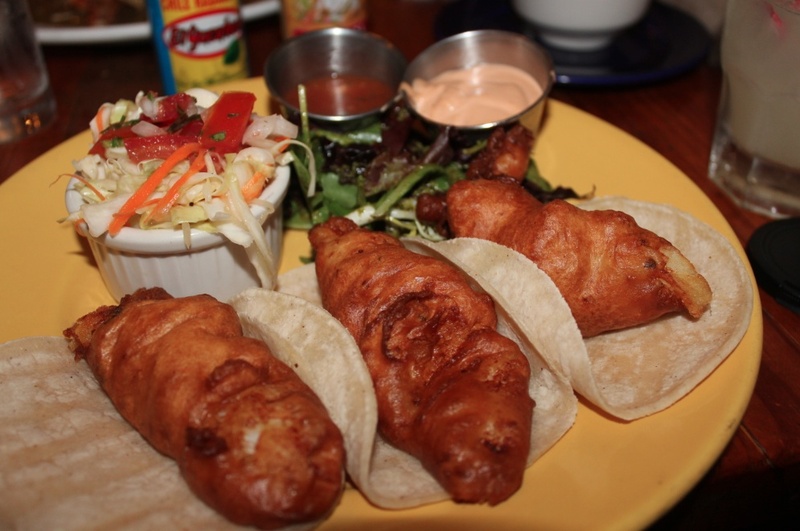 Fine if you’re dying for Mexican food and margies, but less so if you’re dying for great food. Try your luck at nearby La Fonda del Sol (around the corner from the station, on Vanderbilt) instead for better margaritas and fancier food. 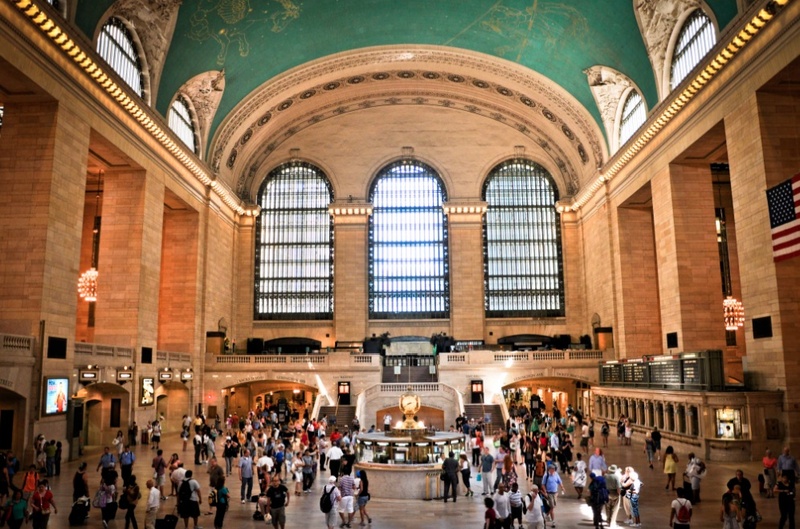 What is the little thing that makes Grand Central worth a dining trip? Loads of variety, set against the backdrop of one of New York City’s most iconic structures.